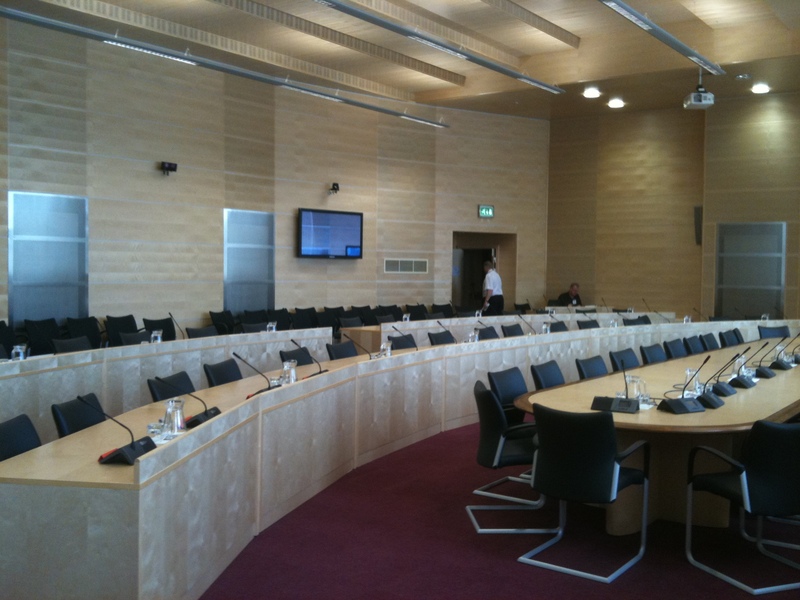 Innovent have recently supplied a range of Halton AFA displacement terminals to the new Council Chambers Building in Kilmarnock. Working with East Ayrshire Council building services consulting engineers, we assisted in the design and selection for the displacement ventilation system. With comfort and acoustics being a priority for this very high-profile council building, displacement ventilation offered the solution which satisfied the strict design criteria the client and consultant were looking for. 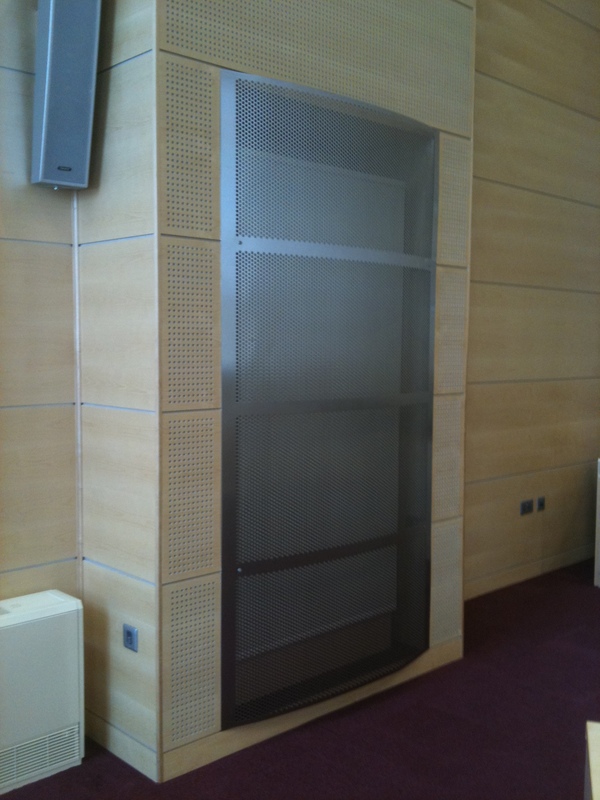 The Halton AFA displacement terminals were located along the outside wall of the council chambers and were hidden behind a decorative stainless steel cover plate (see photograph). The units were fed via ductwork from below and the system was balanced using a Halton PRA conical iris damper which offered optimum balancing performance and low noise, ideal for this type of system. Halton AFA displacement terminal with stainless steel fascia. Innovent have recently supplied the TWA radiant heating panels to Midlothian Community Hospital. Selected and designed to provide the optimum performance for this prestigious hospital, Innovent (Scotland) Limited worked in conjunction with DSSR in Glasgow and T Clarke in Falkirk to provide a radiant heating system to suit the requirements of the client. The close working relationship Innovent have with TWA in Bristol ensured that the panels selected for the projects were suitable for each location and application. TWA panels are tested to EN14037-1 for radiant output and are tested at Stuttgart University. 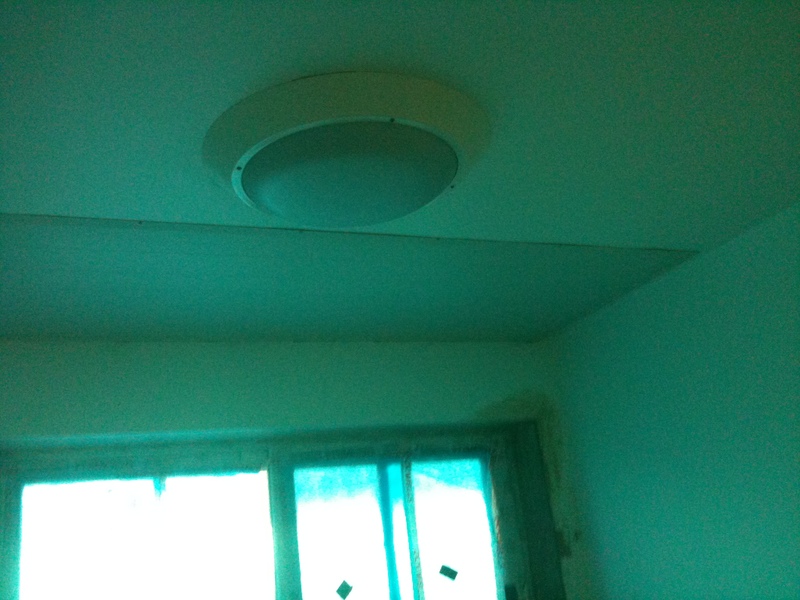 Panels on this project were a combination of plasterboard mounted security panels and standard grid ceiling panels. Innovent have supplied Halton Chilled Beams to the new British Emabassy in Warsaw, Poland through mechanical contractor RWS in Peterborough. Halton CBC and CBH Active chilled beams were supplied as part of the mechanical ventilation fit out for the project which was comissioned and completed recently. Innovent were delighted to be involved in the design and supply of the Halton Beams for this prestigious project. Innovent have recently completed the design and supply of the natural ventilation system to the new control room at Longannet Power Station. Using independently controllable louvres above the main control station, local natural ventilation will allow operators to control the temperature within the control room and exhaust at high level the build up of heat in the area. Louvres were manufactured in aluminium and finished in a standard RAL paint finish to match the building facade. Controllable weatherproof dampers were operated by 24 volt modulating control dampers linked back to a main control room panel. Innovent win the ROCCO award for Innovation & Technology! Innovent (Scotland) Limited won the award for Innovation & Technology at the recent Business Awards ceremony at the Normandy Hotel in Renfrew. Up against competition for the award from Renfrewshire companies Rolls Royce and Spark of Genius, Innovent were delighted to take the honour on the night. Renfrewshire Chamber of Commerce organised a spectacular night which celebrated business excellence in Renfrewshire. The evening was hosted by Fred MacAulay and entertainment and cocktails were provided by The Bar Wizards. Innovent are thrilled and delighted to have won this prestigious awards for their Barrfly Midge and Mosquito Barrier, we are sure that it will be of huge benefit to us, and it recognises the entrepreneurial spirit the company has shown in bringing this unique product to market. All the winners and sponsors on the night! Innovent (Scotland) Limited have been selected as elite finalists in this years John Logie Baird Awards which will be held at the Glasgow Science Centre in December. Under the category of “Entrepreneurial Spirit”, Innovent has been recognised for it’s determination to bring a concept idea to market, by being selected as finalist in this category. We will now present to the National Judging Panels and attend the showpiece Gala Awards Dinner at the Glasgow Science Centre on the 10th December 2008 along with all the other finalists. We are delighted to be nominated for this prestigious trophy and look forward to a great night. We are delighted to announce that Innovent (Scotland) Limited have been shortlisted along with Rolls Royce and Spark of Genius for the prestigious Renfrewshire Chamber of Comerce ROCCO Awards. Under the category of “ROCCO Award for Innovation & Technology” Sponsored by William Tracey, we are thrilled that our Barrfly Midge and Mosquito system for controlling biting insects has been recognised by the Chamber of Commerce judging panel, and to be shortlisted with such esteemed established companies. We presented our supporting case for the award to a panel of judges on Tuesday 21st October and look forward to attending the awards ceremony at the Normandy Hotel on the 14th November. 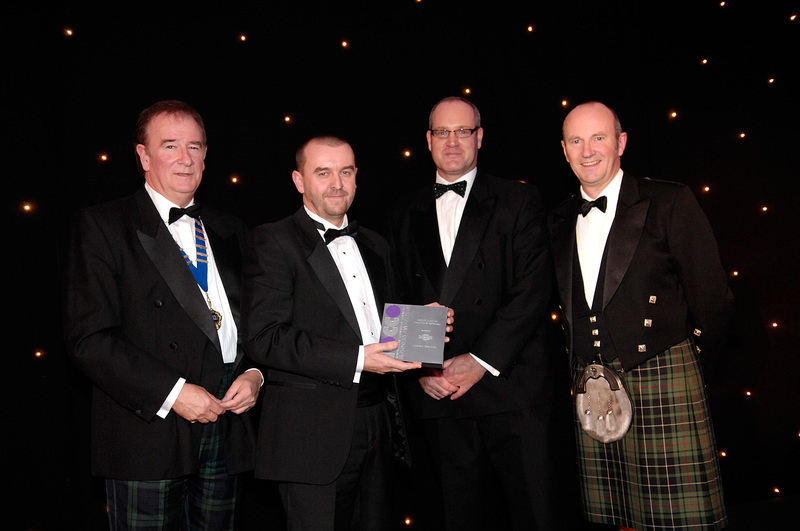 ssprenfrewshire on Innovent win the ROCCO award for Innovation & Technology!